Drapes are made with fabric loops along the top edge to allow the rod to be run through each loop. Important: The diameter of your drapery rod will affect the length of your panel. If your drapery rod is larger than 2" in diameter, you will require a longer tab length. Please call. Tab Top Drapes offer a clean, uncomplicated style to any room decor. 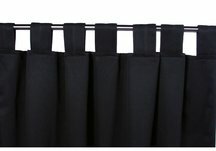 With easy installation, tab top drapes add simplicity to your life and your home! 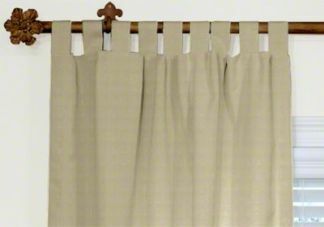 These classic drapes are made with no rings or hooks, which creates a free-hanging drape with fabric tabs at the top. Tab top drapes can be used to add dimension and design any indoor space. Consider: If your rod is larger than 2" in diameter, you will require a longer tab length. Please call.